Ynetnews reports: Police made the first arrest Tuesday evening in the case surrounding the collapse of the underground parking lot in Tel Aviv which left 3 dead, dozens injured and five missing. 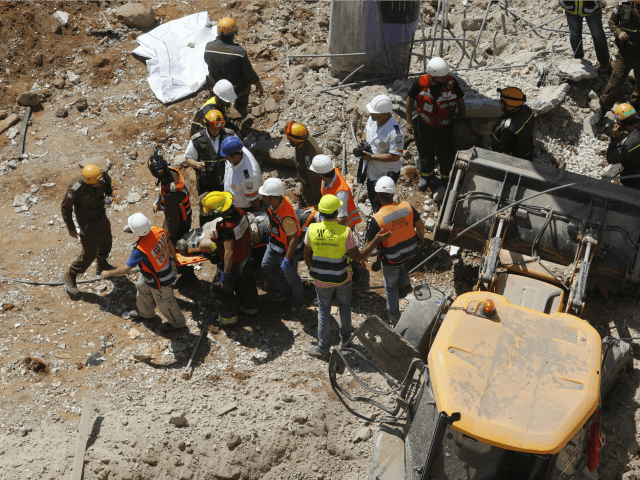 The arrest comes just a day-and-a-half after the collapse as rescue forces continue in their efforts to locate three people that are still missing. A gag order has been imposed on the details of the investigation, including the identity of the arrested individual. Another body was pulled from the rubble Tuesday afternoon after rescue teams continued their search throughout the night. However, three people remain trapped—two residents of Acre and a Palestinian from the Dawabsheh family.